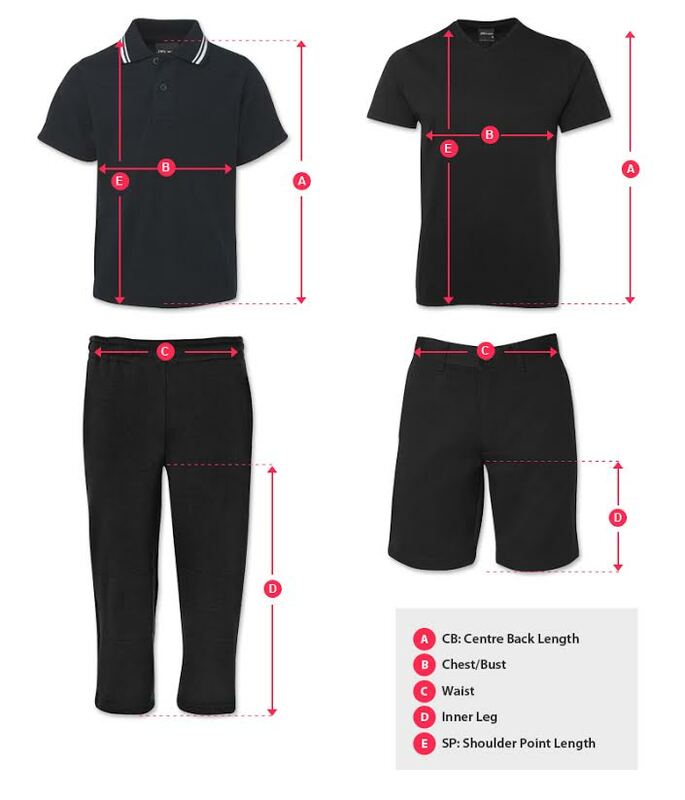 When selecting a size for any product in our wide range of promotional clothing, it is important to get a good approximation of your physical measurements. If you are unsure about the measurements you've taken or need additional help at size estimation, please feel free to contact the friendly Clothing Planet staff today. Around the chest (highest point). Around the waist (waistband position). Length of the inner thigh. Measures shoulder seam to shoulder seam.